The Maritime Alliance, a not-for-profit maritime cluster alliance in San Diego, is working with the US Navy to help find new and innovative 'disruptive technologies' through its Disruptive Technologies Laboratory. The U.S. Navy faces innumerable obstacles every day as it carries out its mission. To meet the challenge of combating disruptive threats and realizing ever-changing operational demands, the Department of Defense (DoD) and Navy leadership are driving the Navy laboratory infrastructure to get new and innovative technologies from external businesses into the hands of warfighters and maintainers quicker than ever. The Disruptive Technologies Laboratory has developed a network of 200+ Department of Defense researchers/users called DTL Enterprise (DTLe) who are invited to take part in conference calls each week to present their innovative technologies. Since mid 2018, 16 Maritime Alliance (TMA) members (including international companies) have presented to DTLe and several have had follow-on calls, meetings and have participated in events. The Maritime Alliance has agreed to organise two new presenting companies every third Wednesday in the month, starting in January 2019. 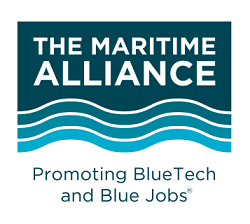 The Maritime Alliance is a not-for-profit cluster organizer for the San Diego maritime technology community. TMA fosters maritime business and technology innovation and has a growing number of members nationally and internationally.